Located In the heart of North America. To the east is the province of Manitoba and to the west is the province of Alberta in Canada. To the south it borders the American states of Montana and North Dakota. To the north are Canada's North West Territories and Nunavut. There is a mystic air about the Saskatchewan Cypress Hills located in the southwest corner of the province A great place to live. This is where we find Marty and Marie Bohnet's winery. The owners call it a “hobby gone bad” but the employees refer to it as “a dream come true”. * A working ranch which began producing grapes in 1995 planted their first commercial planting in 2004. In 2005 they started producing fruit wines and opened the winery in 2007. Cypress Hills has the only commercial vineyard on the prairies. 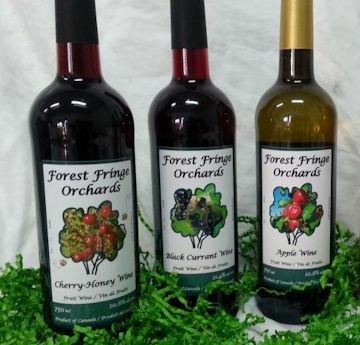 Diane and Walter have been making fruit wine for close to 20 years. When they went commercial in late 1996, they started out with a chokecherry wine called Battle River Red, a wine they'd been making for years named after the river that runs just north of the Town of Battleford. Genevieve’s love of nature and the outdoors lead to a 25 year career as a Resource Officer and Ecologist with the Provincial Government. That same love of nature and the outdoors now finds Genevieve busy in the fruit orchards putting her farming roots to work producing the fresh fruit for customers and the kitchen. Genevieve’s creative side and taste for good food also keeps her busy in the kitchen turning the orchards’ produce into a variety of preserves, baked goods, and more recently crafting specialty fruit wines. Will is an Orchardist / Beekeeper Growing up in Southern Ontario’s orchard and winery region and being educated in horitculture and vita culture, it was his ambition to develop a winery. He just didn't know that it would happen in Saskatchewan. 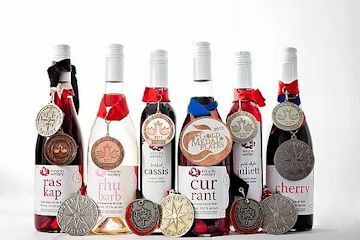 The year 2010 brought a new fruit winery to the "Land of the Living Skies Saskatchewan. The winery is owned by Sue Echlin and Vance Lester. Saskatchewan is known as land of the living skies, the name also reflect the owners sense of place. Vance is a duck biologist and Living Sky also speaks to the spring and fall waterfowl migrations. We care not only for our orchard but for the environment that surrounds it, whether beast, fowl or flora. We believe ardently that local foods and services contribute to the community in a positive way, and try to purchase everything we can from our friends and neighbours. We also believe that life is bloody short and you better enjoy every second of it! 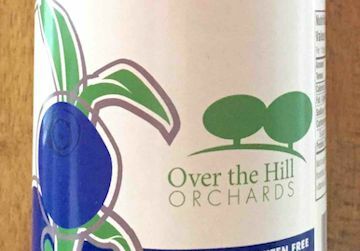 The winery hopes to begin producing ciders in the near future. Philosophy: Artisan, local and committed to the environment and the community. 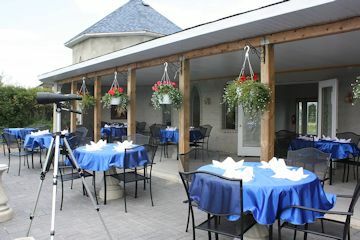 Located in beautiful Saskatchewan county side 19km west of Moose Jaw SK and 10km south of Caron SK. The meadery is owned by two couples Dennis and Vickie Derksen,Crystal and Gerard Milburn. They make small batches of mead, many of which include locally grown fruits such as cherry, melon, strawberry, raspberry and haskap. Their history began with Grandpa's Garden Ltd is a u-pick operation that happened entirely by accident. "It began with a small sour-cherry orchard, as a retirement project for Dennis and Vickie Derksen. Within a year, ambitions had expanded to include a one acre high tunnel growing strawberries. When we found that we couldn't pick them all, we opened up to the public, allowing others to come and pick our berries. Vickie's daughter Crystal, and her husband Gerard, came on as partners, and the u-pick grew to include over 5 acres of raspberries, more strawberries, a small haskap orchard, and several vegetable gardens. Honey bees were introduced to the operation to ensure successful fruiting of the various food plants, and soon we were also selling honey, and making mead at home. Our fruit honey product was developed with the assistance of the Food Centre at the University of Saskatchewan, and as a (possibly) final step, we expanded in the latter half of 2015 to begin making mead commercially. 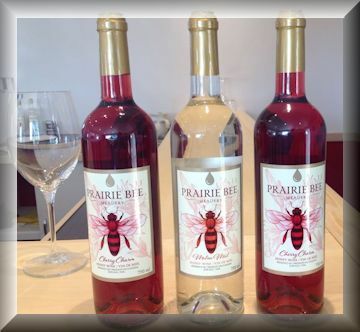 Prairie Bee Meadery at Grandpa's Garden officially opened on June 18th, 2016." Choosing a name for our Meadery took a lot of time, consideration and argument! We wanted our name to pay homage in some way to the region in which we are located. At length, we chose Prairie Bee because it also let us credit the miraculous and hard-working honey bee, without whom we would have no berries, no honey, and no mead. 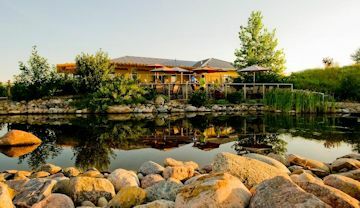 Riverlot Orchards is a winery and bistro, located 3 km west of St. Louis, Saskatchewan, with the beautiful view of the South Saskatchewan river. They make a honeysuckle port style wine. 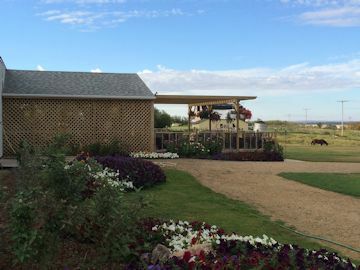 A fruit winery located in VQu’appelle Valley owned by Dean and Sylvia Kreutze. It was quite the transformation for Dean; from computer programmer to Certified Organic fruit grower. Many people questioned his decision, but never his enthusiasm. 30 years growing up in the city did nothing to prepare him for the trials of rural life, and unfortunately the learning curve was vertical! While Sylvia had grown up on the farm, growing fruit was a lot different than slopping pigs and herding cattle! At least we had the knowledge that before this dream could become a reality, we would have to do a lot of research.